Chevrolet is making some of the best small cars on the road right now, and two great examples are the 2016 Chevrolet Cruze and the 2016 Chevrolet Spark. If you’re in the market for a new vehicle that is affordable, efficient, and surprisingly upscale to handle your travel around Glendale Heights or Bloomingdale, you will want to consider both of these models. 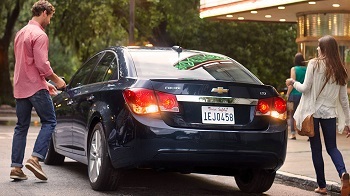 Find out how they compare head to head before getting a closer look at Sunrise Chevrolet. Both models are great for zipping around the city and provide plenty of power for highway driving, but there are some significant differences in the power and efficiency ratings. 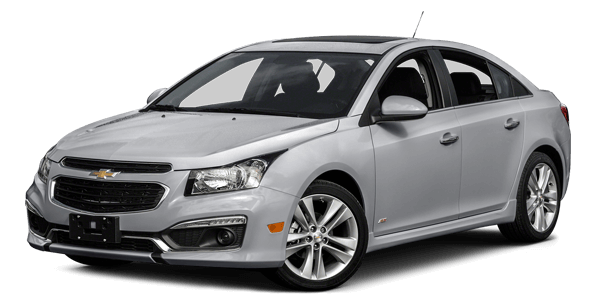 The 2016 Chevrolet Cruze is powered at all trim levels by a turbocharged 1.4L four-cylinder engine that puts out 153 hp and 177 lb-ft of torque and can get up to an EPA-estimated 30 mpg city and 42 mpg highway. That means it has power you can feel but doesn’t drain gas producing it. The 2016 Chevrolet Spark is powered by a 1.4L four-cylinder that puts out 98 hp and 94 lb-ft of torque while getting up to an EPA-estimated 31 mpg city and 41 mpg highway. That may not sound like a lot of power, but if you are mostly driving around the city then it’s more than you’ll need, and you’ll love the gas mileage. These cars might be categorized in the compact and subcompact segments, but they both make great use of the space that they do offer. The 2016 Chevrolet Cruze has a comfortable and spacious cabin with seating for up to five adult passengers. Also, thanks to the redesign, the cabin has a distinctly upscale feel compared to the outgoing model. The trunk can hold 14.8 cubic feet of stuff, which is plenty for a large shopping trip, camping gear, or a weekend vacation. The 2016 Chevrolet Spark is smaller by design, but it doesn’t feel that way when you start to use the space. The cabin gives you room for up to four people, and each passenger has enough space to sit with relative comfort. The trunk is a little smaller at 11.1 cubic feet, but it gives you more flexibility as a hatchback. 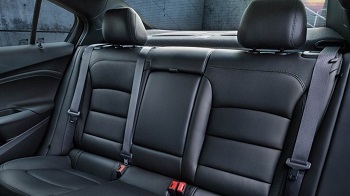 Fold down the rear seat and watch your max cargo volume expand to 27.2 cubic feet. Chevrolet has found great ways to pack even affordable cars full of exciting features. 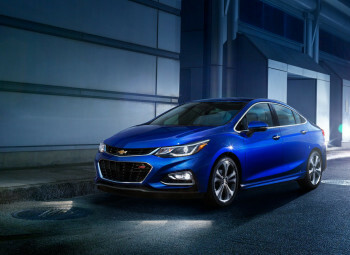 The 2016 Chevrolet Cruze comes standard with Bluetooth connectivity, a rearview camera, and a seven-inch Chevrolet MyLink touchscreen that gives you access to Apple CarPlay and Android Auto smartphone integration. Upper level trims add features like a wireless charging station, leather upholstery, and a suite of advanced safety tech. The list of features available for the 2016 Chevrolet Spark is a little more limited but no less exciting. The base trim comes with a rear spoiler, automatic headlights, OnStar telematics with 4G LTE Wi-Fi coverage, and an automated infotainment system. Higher up, you will find satellite radio, a bunch of style upgrades, and even a sunroof. There are a couple of considerations to focus on. The first is cost, since the Spark has a starting price thousands of dollars lower than the Chevrolet Cruze. The next is performance, since the Cruze puts out noticeably much more power. In general, the Chevrolet Spark’s performance makes it more suited for city driving, while the Chevrolet Cruze has enough power to take you on a trip with confidence. Finally, keep in mind that one of these models is a sedan and the other is a hatchback. If you regularly carry a lot of cargo, you’ll appreciate the easy fifth door and ample overall capacity of the Spark. You can’t go wrong with either of these models. If you’re on the fence about which to choose, visit the team at Sunrise Chevrolet and take a tour and test drive of any model you’d like. We are located at 414 E. North Ave in Glendale Heights, IL, which is only ten minutes from Bloomingdale and easy to reach off of Glen Ellyn Road by the Brunswick Zone. Our sales department is open Monday through Saturday. Plan a trip at your convenience, and contact us if you have any questions.